Speedy bleachers are a highway towable system with a push button set up of just ten minutes! This makes for easy set up for your traveling fair or other traveling show. 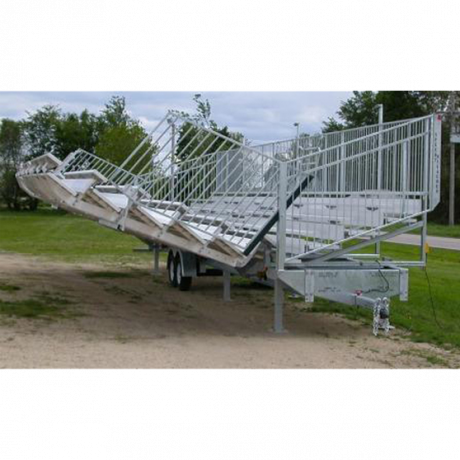 These mobile bleachers provide you with the most versatility, allowing for easier movement from one venue to another. Using a hydraulic system, this bleacher folds into itself to create a compact, light weight "trailer" which can be easily towed behind a pickup truck or larger vehicle. 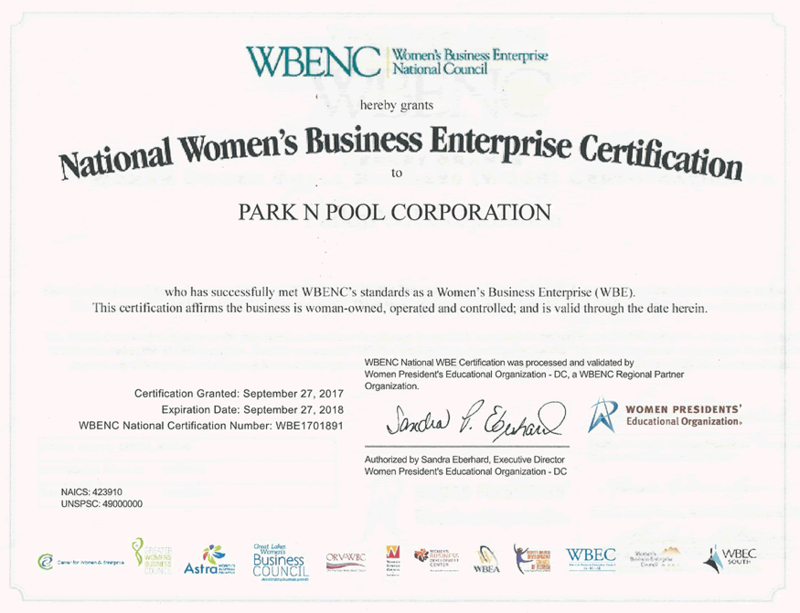 All of the required safety equipment is included so you can readily obtain a trailer license and registration. 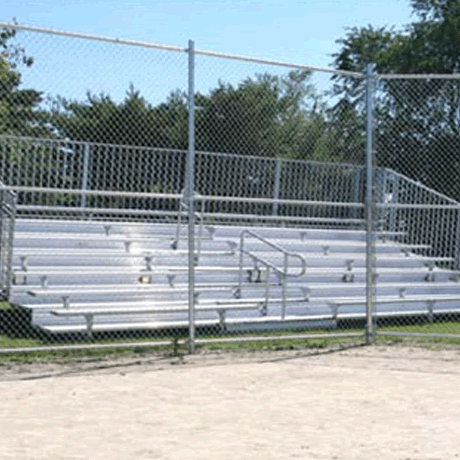 Companies purchase these portable bleachers for the purpose of renting them out. When ordering bleachers we advise you to check your local requirements for such things as aisles, guardrails, ADA, or other conditions. Check your local building codes before purchasing and request our Bleacher Safety Guide to ensure your seating is 100% safe. Call and let our friendly sales staff help you choose the perfect Speedy Bleachers!